Head of State of the Principality of Monaco Albert II arrived in New Delhi for a seven-day visit. 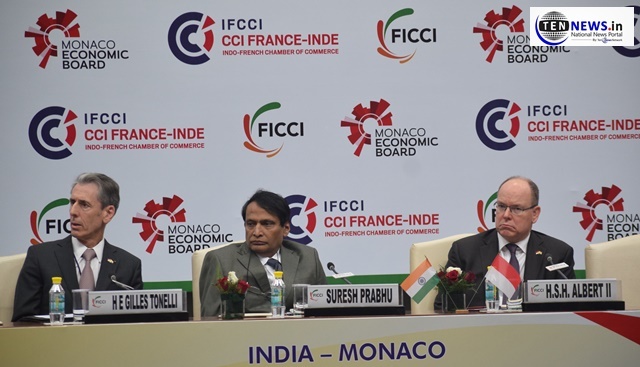 On Monday, he attended the “India-Monaco Business Forum” at FICCI in the National capital. Minister of Commerce & Industry Suresh Prabhu represented India along with other senior government officials on the occasion. HSH Prince Albert II arrived at FICCI along with business leaders from Monaco. At the event, an MOU between FICCI and Monaco Economic Board was also signed. Later, along with the leaders of his Foundation (FPA2), the visiting dignitary also participate in a conference on the theme “Energy and Climate” organised by The Energy and Resources Institutes of New Delhi (TERI).